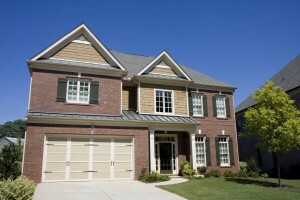 Is your garage door in Oak Grove, MO, unsightly and possibly, unsafe? If your answer is yes, you should call the professionals at 31-W Insulation to install a new door that you can be proud of. Since 1972, we have provided exceptional home improvement and garage door installation services to customers throughout the United States, and are proud to offer our expertise to you. What practical needs are of most concern to you? Are you seeking a highly insulated door to increase energy efficiency in your garage? Or are you more concerned about security features? We offer doors engineered out of multi-layered steel with insulation options available that may add up to cost savings in your energy consumption. What design features are appealing to you? You can choose a garage door manufactured out of steel or beautiful wood, with customizable features that include windows and decorative hardware that will allow your new door to showcase your personal sense of style. What is your budget? Regardless of your financial picture, our home improvement experts can help you find the perfect door for your home, from high-end custom doors to beautiful, yet economic, options. Additionally, each of our garage doors is backed by impressive manufacturer warranties, so you can be sure that your investment will be well protected. For more information about the numerous options available for you, contact 31-W Insulation today. We will be happy to answer your questions and provide you with a complimentary consultation. Let us help you design a beautiful new garage door that will complement your Oak Grove, Missouri, home, increasing its curb appeal and providing you with flawless performance for years to come.